If you live in an unusually small residence, you might laugh at the idea of somehow cramming a dishwasher and other full-sized kitchen components into your very limited kitchen (if you even have one.) 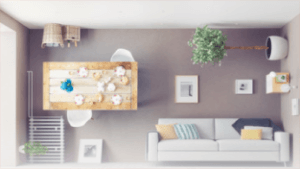 But as apartments get smaller and smaller, manufacturers are going to have to think outside of the oversized suburban box in order to serve a large number of potential customers. Here’s one design that does just that. Unsurprisingly a Red Dot award winner, the K5 by Kitchoo is a compact kitchenette design that’s practically the definition of compact, efficient and space-saving – a tiny all-in-one, side-island unit that serves functions normally occupying half of a standard-sized kitchen. 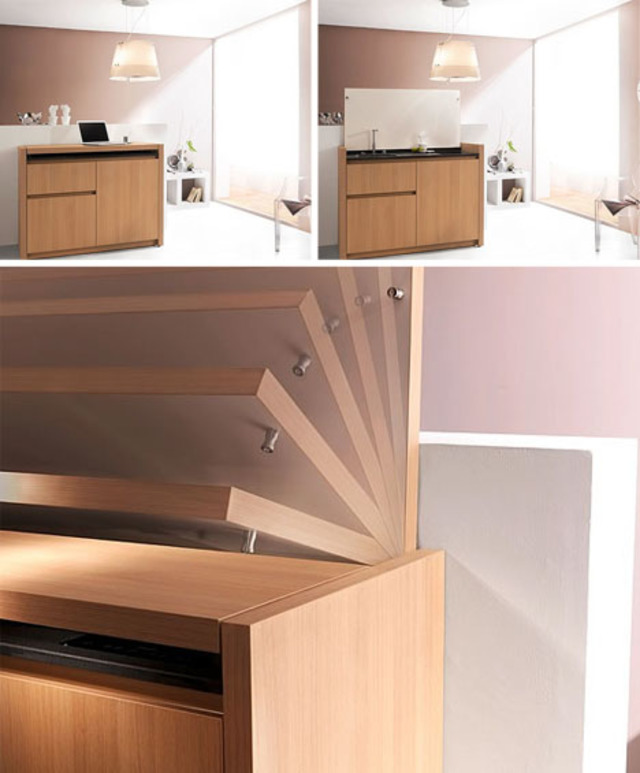 Two induction burners for cooking, a fridge (with freezer) for cooling, a telescopic tap, petite dishwasher and more … and all of it folds into an inconspicuous, table-topped side cupboard just 1300 mm x 1000 mm x 650mm. Designed for tiny spaces, this smart kitchen concept packs everything you need into a unit that’s small enough to fit in a tiny house or micro apartment. Flush doors without handles and flat integrated appliances disappear into the seams when the unit is shut, but are available at the touch of a button, flip of a lid or pull of a handle as needed – handy yet minimalist through and through.